Head Squared offers a swift and easy pond cleaning service in Leicester, Leicestershire, Warwickshire, Oxfordshire, the surrounding counties and more. You might wonder why? Ponds unfortunately do not stay clean forever. 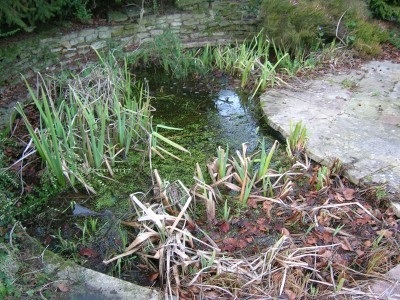 Wind can pick up leaves and dust which settles in the pond over time. This detritus begins to break down and become anaerobic. Over time methane gas can be produced. This is extremely noxious to fish and other living organisms. A Head Squared clean will help keep your fish happier and healthier and give you a water feature to be proud of. Please see Maintenance section for regular maintenance packages. 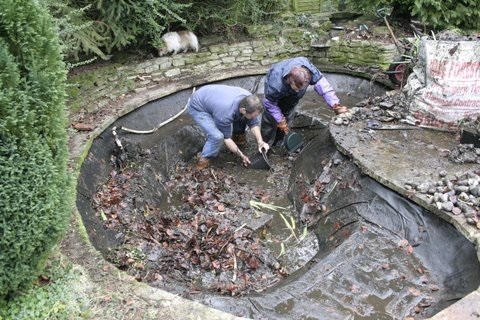 It is an excellent idea after winter to kick start your pond by removing waste and leaves which have built up. 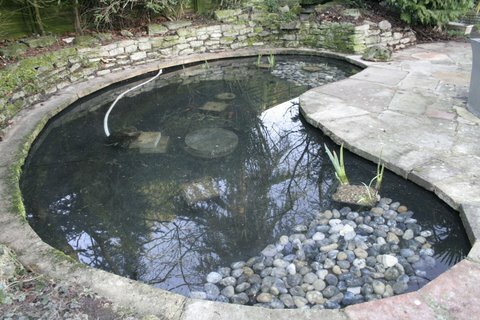 A spring pond clean will reduce the work needed to keep you feature looking beautiful and make the summer months a more pleasurable experience. 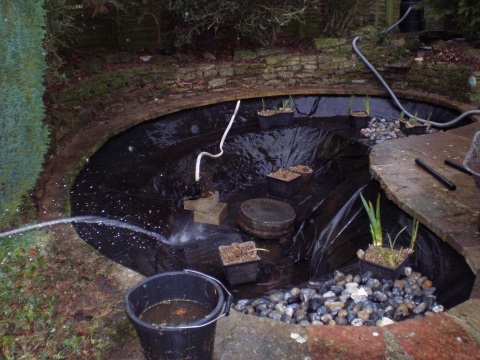 By removing the excess waste you can re-establish a crystal clear pond and increase the depth of water, thus increasing space for the fish and reducing your pond maintenance regime. This means that you can spend less time working on your pond and more time enjoying it! If you wish to discuss your needs, whatever quantity of water you have, please don't hesitate to give a call. While works are being carried out on the pond, aquatic life forms will be placed into an sterilised quarantine vat which will be covered; this cover helps to keep the fish safe from any predators and prevents them from being spooked and leaping. This is great for keeping your precious fish safe during clean works. Contact us to discuss your unique pond needs with one of our expert staff.